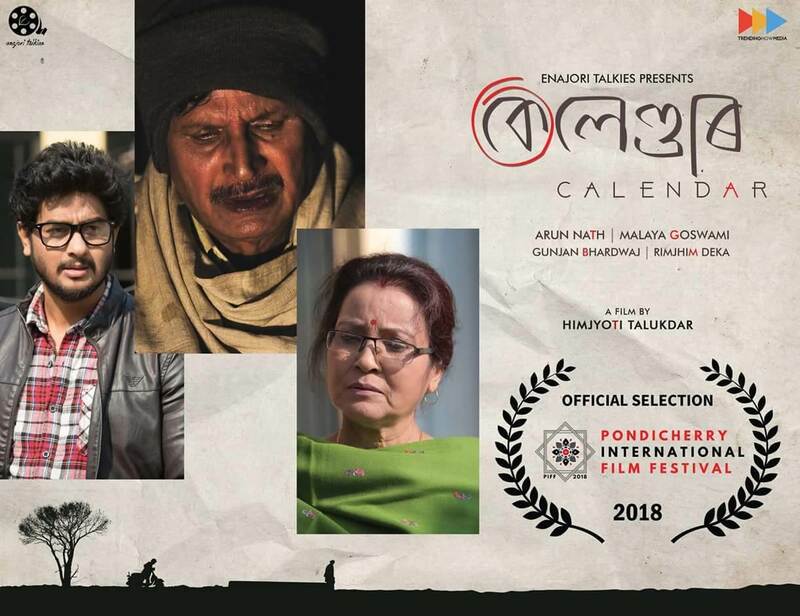 Himjyoti Talukdar’s Calendar, one of the few Assamese cinemas which has tasted commercial success in recent times is now set to be featured in the Pondicherry International Film Festival and also screened in a few theatres abroad. The small budget film released in 20 theatres of Assam on February 16 this year ran for four full weeks raising eyebrows. The film was taken to most of the major cities of India–New Delhi, Mumbai, Hyderabad, Navi Mumbai, Chennai, Bangalore and Baroda and was very well received by the Assamese diaspora and non-Assamese alike with the halls posting house full signs. Calendar, was the first Assamese movie to be shown in Gujarat paving the way for others to follow suit. Himjyoti Talukdar said that he had submitted Calendar to be screened at the Pondicherry International Film Festival, 2018 and had been selected. The Pickurflick Indie Film Festival has been renamed as Pondicherry International Film Festival from this year. The Pondicherry Tourism department will also be supporting the event which will screen more than hundred films. The movie has a small cast of Arun Nath,Malaya Goswami, Gunjan Bhardwaj and Rimjhim Deka in the main roles and revolves around an old couple in a village who are left to fend for themselves when their only son leaves home to take up a job in Delhi. The movie realistically portrays the changing milieu and twist comes at the end.